“Crazy Rich Asians” stands out as a refreshing film, many leagues above traditionally stale and predictable rom-coms by possessing all of the genre’s heart and charm but none of its eye-roll-inducing cliches. Over the course of the last decade, box office earnings have continuously proven that American audiences are hungry for movies with unique stories and diverse casts. Recent films such as “Moonlight,” “Moana,” and “Black Panther,” to name a few examples, were all highly successful films with casts composed of people of color. “Crazy Rich Asians” proved to be no exception to this rule and has quenched Asian American audiences’ thirst for representation and relatability. “Crazy Rich Asians” is a romantic comedy film adaptation of the popular 2013 novel by Kevin Kwan. The movie features an all-Asian cast, making it the first American film to do so in 25 years (the last film being “The Joy Luck Club”). 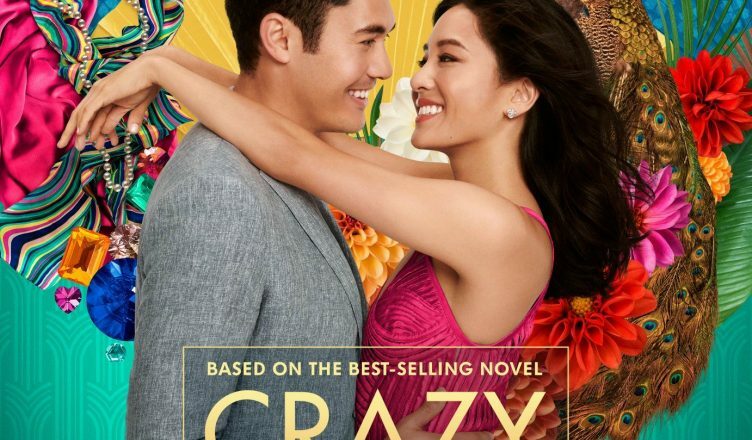 Its plot revolves around Rachel Chu (Constance Wu), an economics professor, who, upon traveling to Singapore with her boyfriend Nick Young (Henry Golding) in order to meet his mother, discovers that he belongs to an extremely wealthy family. Over the course of her time there, tensions mount as Rachel becomes increasingly disliked and ostracized by Nick’s mother, Eleanor Young (Michelle Yeoh), and his high-society peers due to her social class and American nationality. However, Rachel, aided by her hilarious and generous roommate from college, Peik Lin (Awkwafina), doesn’t give up without a fight and chooses to remain unaffected by the actions of others. However, Nick’s terrifyingly judgemental mother is not one to be outdone, and she decides to deliver a final, devastating blow to Rachel. Eventually, Nick is confronted with an impossible choice between the woman he loves and his family, riches and all. “Crazy Rich Asians” possesses a rich setting of beautiful Malaysia (disguised as Singapore) and a vibrantly appealing color scheme that adds to the opulence of Nick’s home. The film is paced in a brisk and exciting manner that makes audiences feel they are on an exhilarating adventure, rather than a rushed walkthrough of a cheap romance. And although the Cinderella-esque plot of “Crazy Rich Asians” is not entirely original, the story is handled in a way that makes the movie endearing and emotional rather than trite and cheesy. There are some moments that seem familiar, such as its makeover montage and the general plot progression toward the end of the film, but it never seems overdone or trite. Gone are the old-fashioned female characters who are portrayed as needing a romantic partner to survive. So too is the common rom-com trope of misunderstandings as the sole cause of the story’s conflict. Despite the unbelievably luxurious backdrop of the film, characters are strikingly realistic and deep. The result is a stylishly crafted narrative of a resilient Chinese American woman’s growth in a beautiful but divisive world. Ultimately, it is the movie’s cultural and historical significance that makes it a triumph and joy to watch. Asian Americans and non-Asians alike will enjoy this film for its beauty, messages of female empowerment, genuinely funny comedy, and emotional grace. However, this movie remains uniquely situated in the hearts of Asian American audiences, who will recognize many of the films specific cultural nods, such as the significance of Rachel making dumplings with Nick’s family and the perfectly-executed mahjong scene, from the landscapes of their own lives. Specifically, the film’s attention to each character’s emotional depth, featured in an industry that historically claims Asian actors as incapable of doing so, is incredibly meaningful and significant. Films such as “Crazy Rich Asians” provide audiences those who are never posed as main characters on the silver screen, a rare opportunity of comfort and relatability, and allows them to see themselves as the lead role in their own lives. “Crazy Rich Asians” will impress all audiences, with its skillful portrayal of emotion, the holistic beauty of the films scenery, music, characters, and heartfelt messages. Despite its genre’s reputation for overplayed tropes and plotlines, “Crazy Rich Asians” takes what could have fallen prey to these pitfalls and results in an absolute triumph.